This Singapore Maths book is highly recommended for your child if you want to help them understand and master math bar model drawing step by step. This highly recommended Singapore math book will teach your child how to solve maths word problems using the Singapore bar model method step by step and in a fun and interesting way. "Wide selection of Singapore textbooks available! Fantastic! C. C. Y. G."
"It works better than western medecine T. K."
"Hello SGBox, We have received the order we placed with you, it arrived here on Wednesday 15 September. We are impressed with how quickly the order came, and will be using your service in the future. 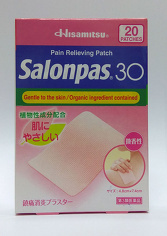 The pain patches are very effective, and gave me enough relief to get a decent nights sleep! I have told several people about the patches, so maybe you will be receiving more orders soon. Thank you. Tom and Barbara Jeffries"